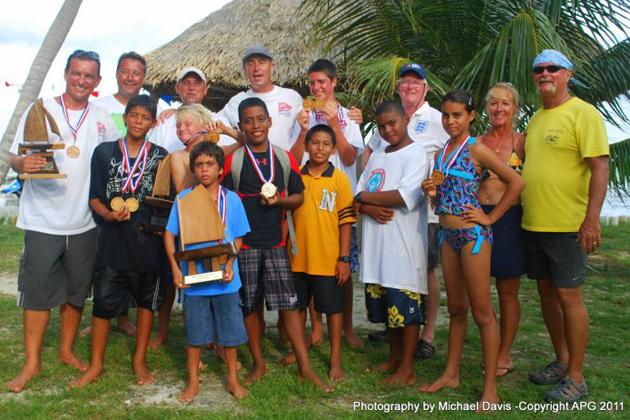 San Pedro’s Student Sailors Live Up to their Island’s Maritime Heritage in the 2011 commemorative St George’s Caye Battle Regatta - Press Release, San Pedro Sailing Club - Sunday, September 11 - During what is becoming one of the most colorful and entertaining events on Belize’s calendar of holidays, the Belize Sailing Association held five classes of sailboat races on St. Georges Caye, Sunday, September 11, 2011. 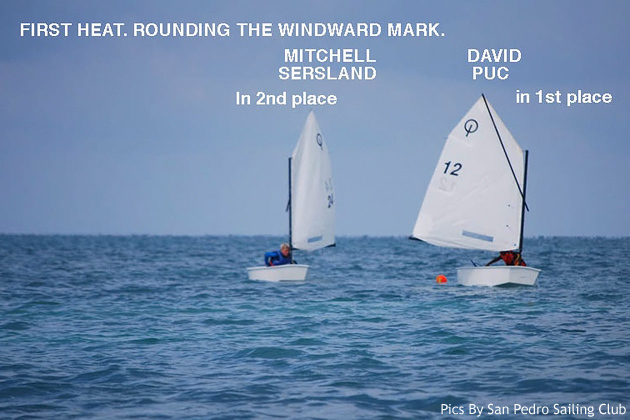 Sailing the Optimist dinghies they have been training in all summer, San Pedro students, aged from 8 to 13, swept two of the four heats and placed 1st and 3rd in another. They then went on to sweep the final. 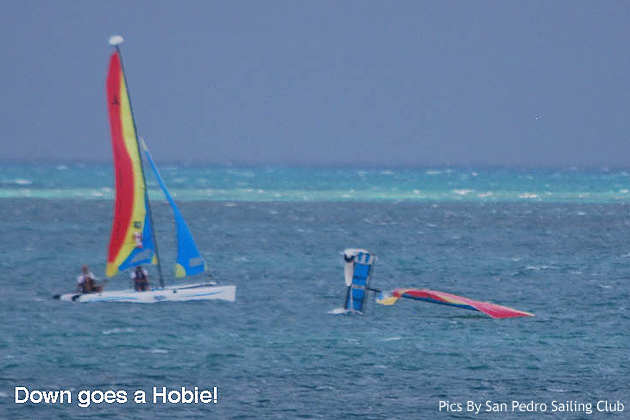 One of our young mariners also took first place in the Hobie catamaran race and second place in the Pico final. 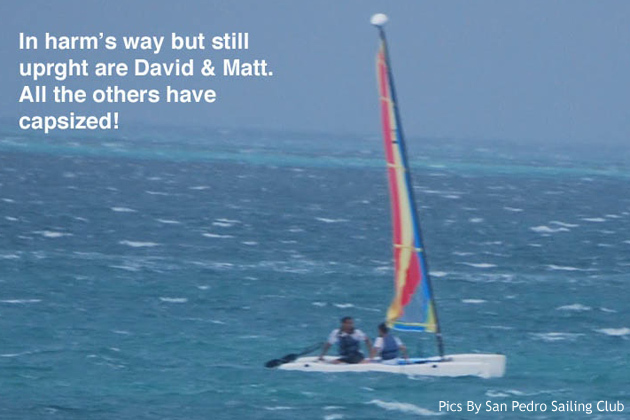 It occurred to many spectators and sailors participating from the mainland that one possible explanation for San Pedro children’s dazzling array of victories is that, even in the 21st Century, sailing is in San Pedranos’ blood! 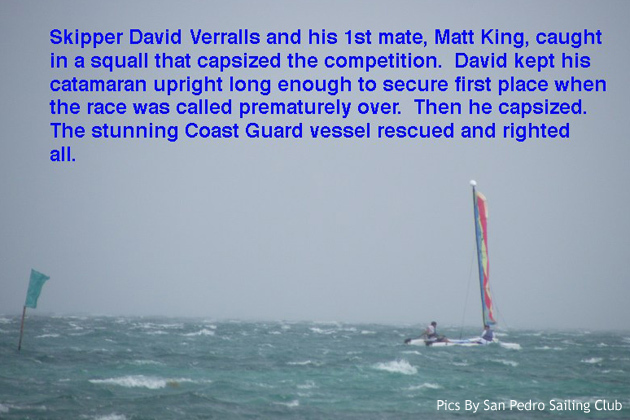 A squall, with winds and waves higher than anything they had contended with previously, could not deter San Pedranitos from sweeping Optimist heat number one. 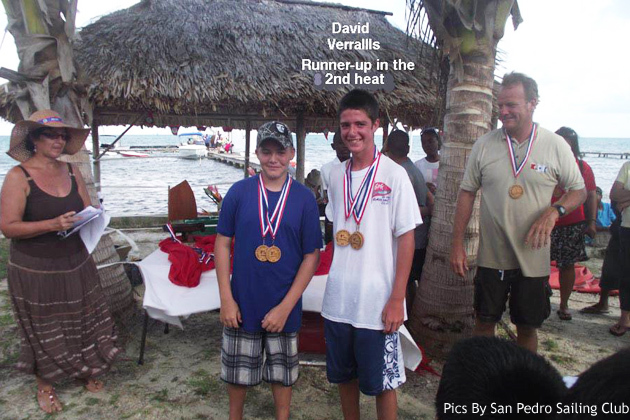 David Puc, age 13, of Holy Cross Anglican School took the victory, followed by Mitchell Sersland, 9, of Isla Bonita School, and Jorge Blanco, 12, from the San Pedro Roman Catholic School. 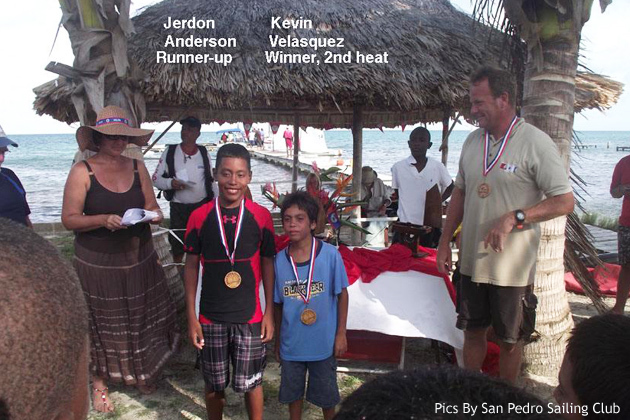 In San Pedro’s sweep of the second heat. 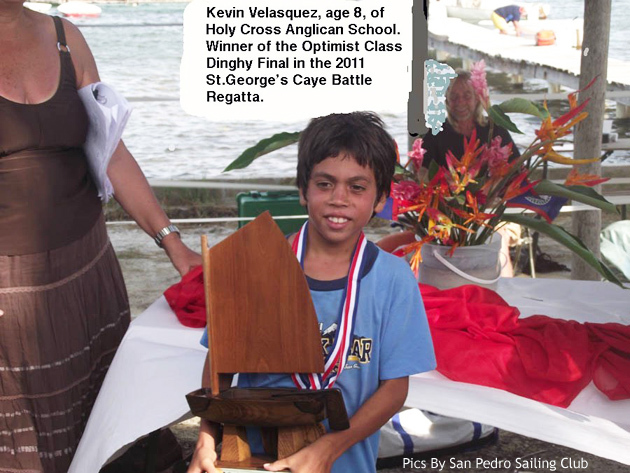 Kevin Velasquez, age 8, from Holy Cross Anglican School, skimmed into the lead and to the 1st place finish. Teammates Jerdon Anderson, 12, from San Pedro Roman Catholic School, and Alexander Rhaburn, 11, of Holy Cross Anglican School, crossed the line in 2nd and 3rd, respectively. 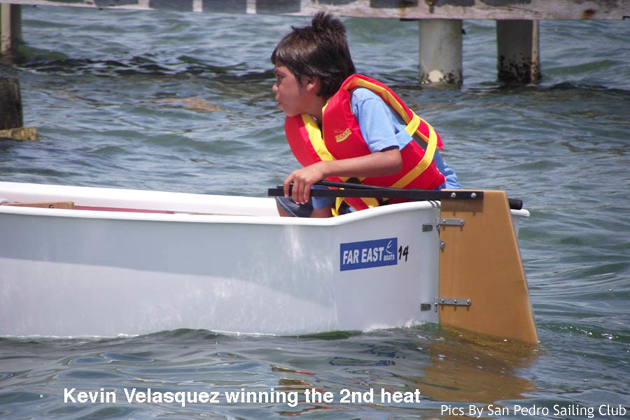 No San Pedranos were in the third heat, but two school mates form San Pedro High, David Verralls, age 13, and Beverly Medrano, age 12, took 1st and 3rd, respectively, in the fourth heat. 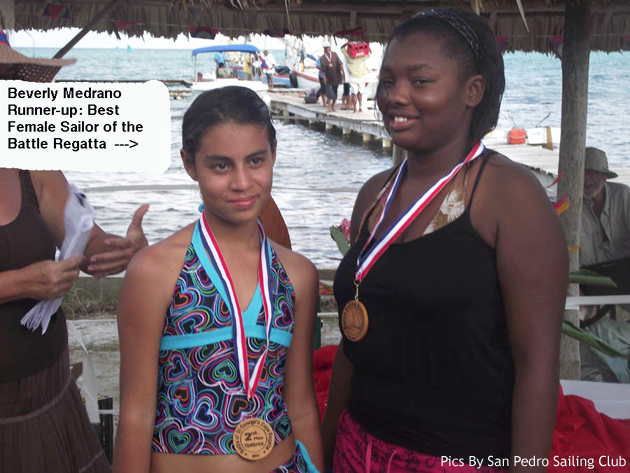 Only those sailors who placed 1st and 2nd in their heats proceeded to the final; however, for her 3rd place showing, Beverly Medrano received the runner-up medal in the regatta’s “Best Female Sailor” award. 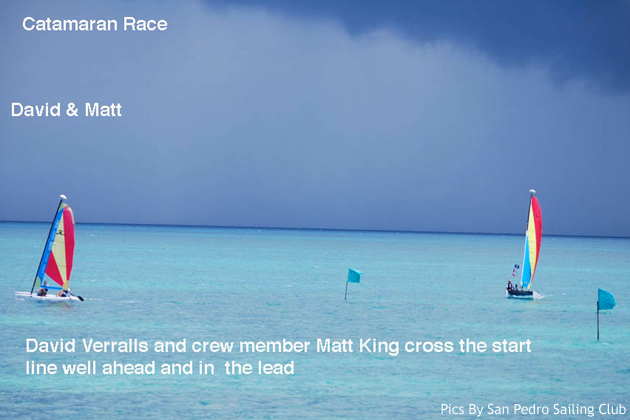 Five of the eight entrants in the Final Race were from San Pedro. 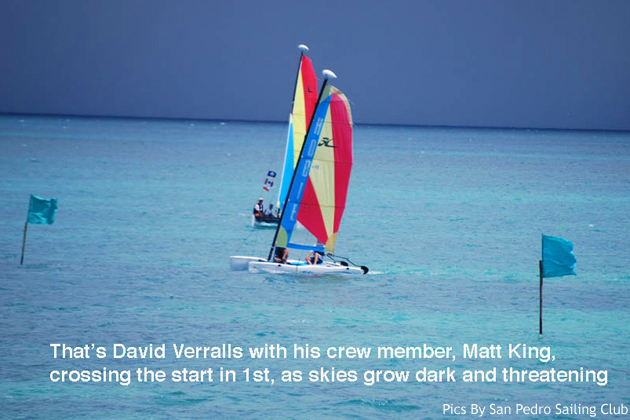 Part way around the first lap, a critical piece of mainsail equipment failed and broke in the Optimist David Verralls was assigned to skipper, and he had to retire from the race. 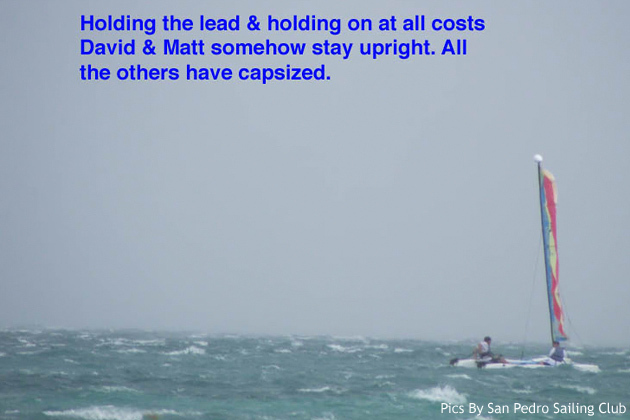 Tension grew, because David has been one of the Youth Sailing Program’s steadiest skippers. 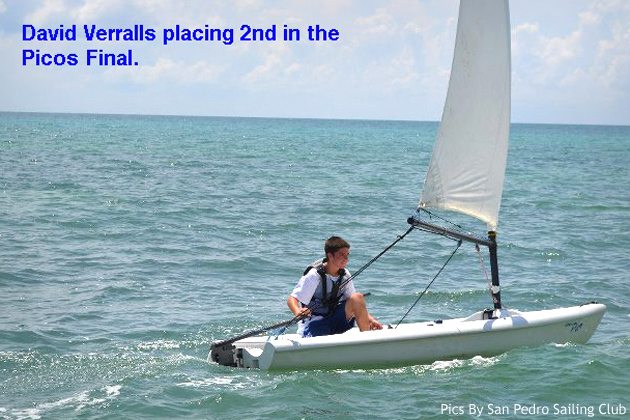 He is the one who had already taken 1st in the catamaran race and 2nd in the Pico Final. At this point, though, Kevin Velasquez, age 8, took command, followed by his Holy Cross school mate, David Puc, 13, and Jerdon Anderson, 12, from RC School. By overtaking the competition, the three swept the Final in that order. 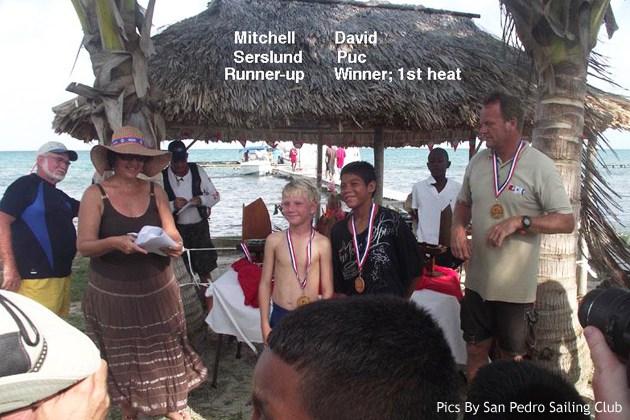 Mitchell Sersland, the Isla Bonita student, age 9, took 5th place. 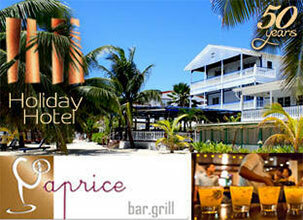 It is hoped that the town of San Pedro, particularly town elders, are proud of and pleased with the regatta’s results. 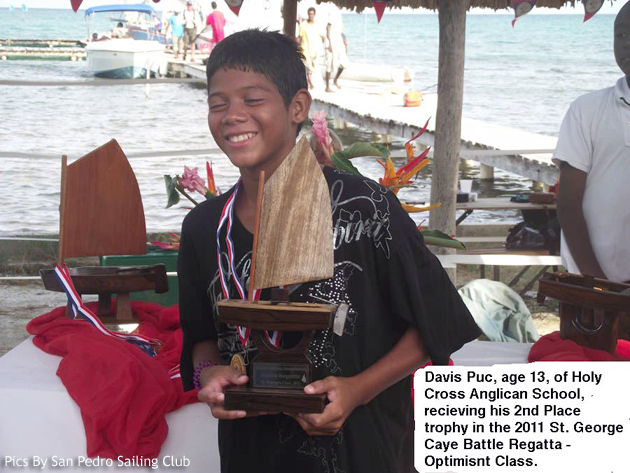 Those who gave our students the opportunity to experience the thrill of sailing and racing sailboats ought to be particularly proud. 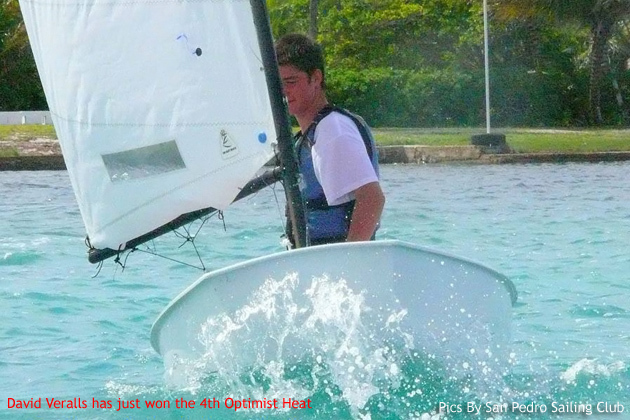 Foremost among them are the generous philanthropists who bought and now sponsor four Optimist dinghies for training. 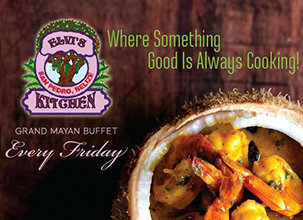 They are: Ambergris Lakes Villas, Caribbean Villas, The Palapa Bar, and the Symes family’s San Pedro Weather Live (http://sanpedroweather.com). Without them, we would have had no kids racing and winning last Sunday. 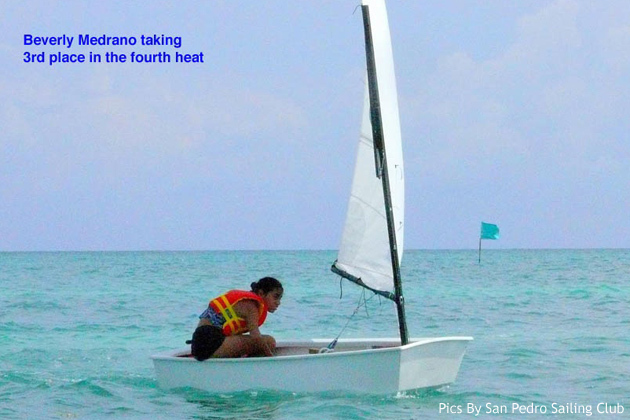 The same may be said for the San Pedro Sailing Club, which organized and conducted the request for sponsors and the free Summer Youth Sailing Training Program. 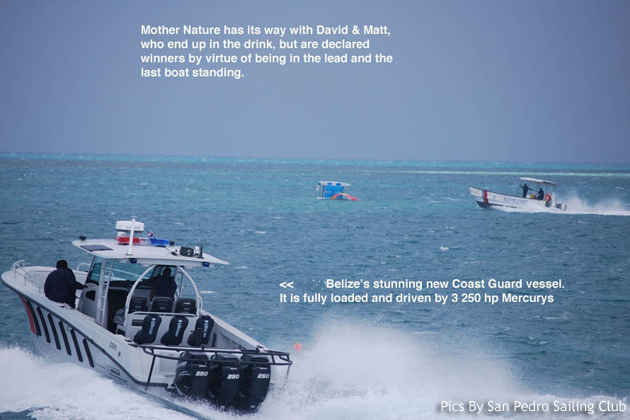 We would have had no kids ready for the regatta without the talents and tireless efforts of the Club’s commodore, Andy Milner, and its Training, Equipment and Safety Officer, Paul McCarthy of Sailsports Belize. The children need more boats. 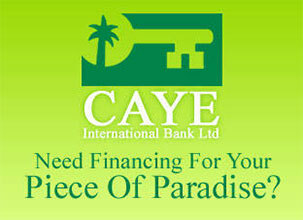 Why not sponsor one? 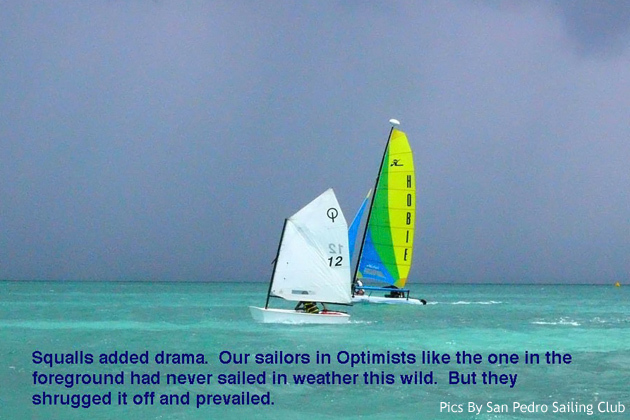 Yes, sailing is in San Pedranos’ blood. Without more boats, it is impossible to train enough of kids who want to learn, impossible to train each one of them often enough to satisfy their eagerness and their enthusiasm, impossible to fulfill the innate skill apparently “in their blood,” as evidenced last Sunday. 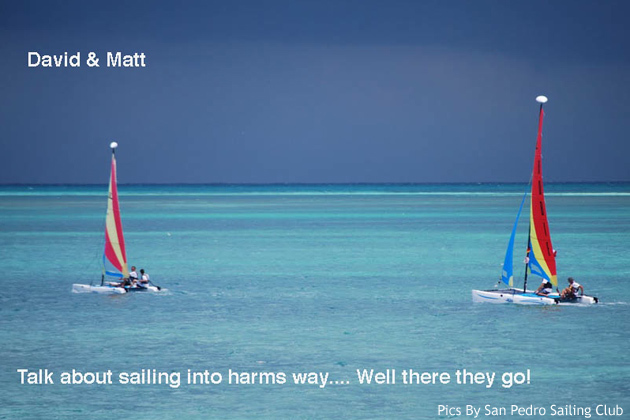 Here are the facts: The free Youth Sailing Training Program is a victim of its own popularity and success. 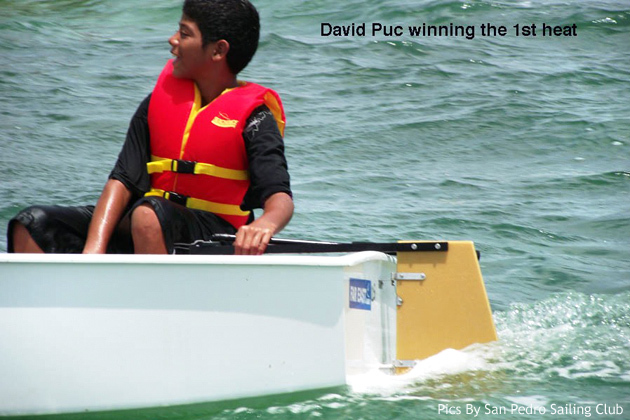 A whopping 95 of San Pedro’s children signed up to take sailing lessons this summer. In spite of some inclement summer weather, and with only four boats and two trainers, about a third of the students who signed up to sail and race have actually been able to do both. 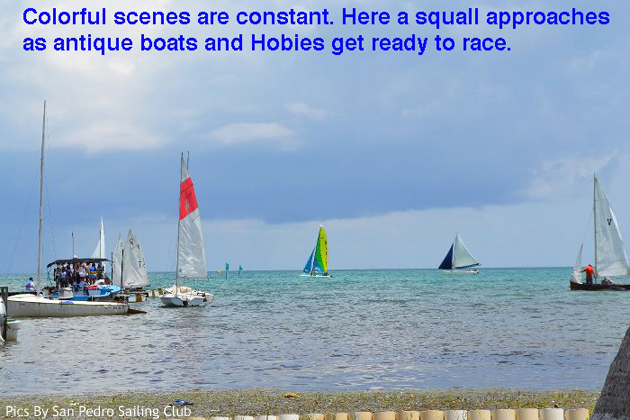 Five additional trainers have volunteered, and even though school has started, the Sailing Club will continue to offer free lessons - after school and on Saturdays, with racing on Sundays. 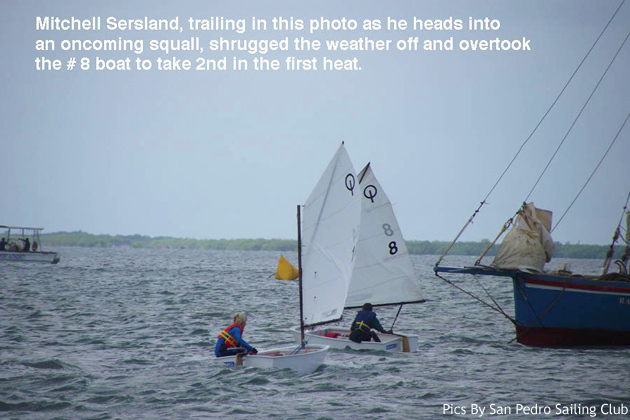 The San Pedro Sailing Club has arranged with the Belize Sailing Association for the Optimist dinghy class qualifier races –which determine who will race in the Belize National Finals – to be held here in San Pedro, as will the Belize National Finals, themselves. 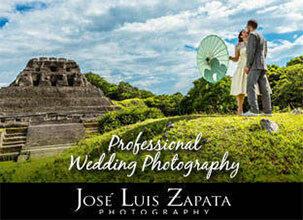 Both will take place in November. It is the Club’s current preference to hold the races for qualification off Central Park for all to see. 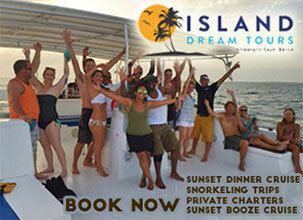 Sponsored boats have their sponsors’ logos emblazoned proudly and prominently on their hulls, for all to see. The logos will remain on the hulls in perpetuity, throughout all of the dinghies’ many trainings, regattas, and other activities. 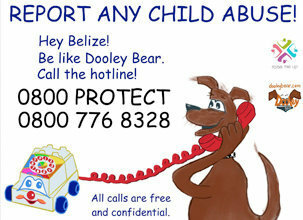 The cost to buy and sponsor a boat is $3000.00 BZD. 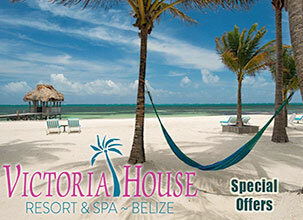 Two businesses may share the cost and co-sponsor. 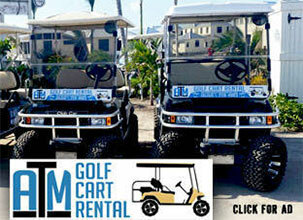 Each will have its logo on one side. Interested parties may Andy Milner, the Sailing Club’s commodore at 632-4101.